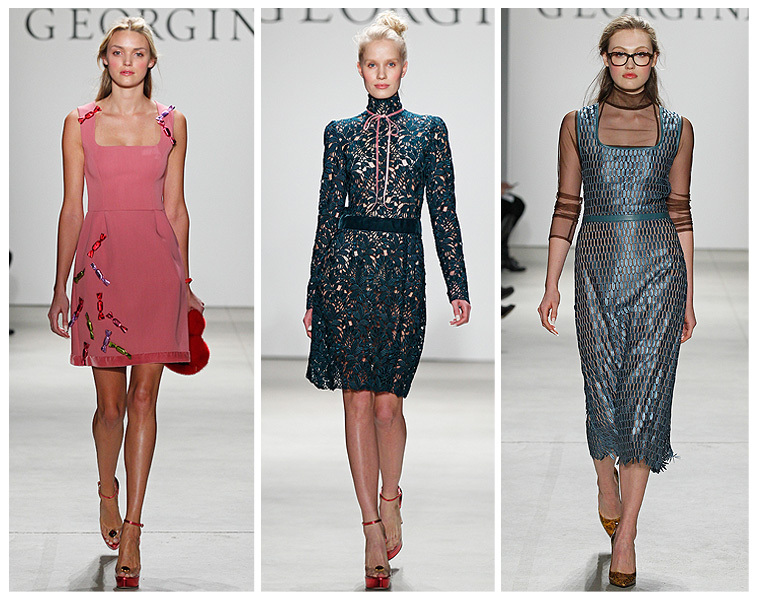 GEORGINE Fall 2016 collection was overflowing with lux fabrics, bold hues and exquisite furs! 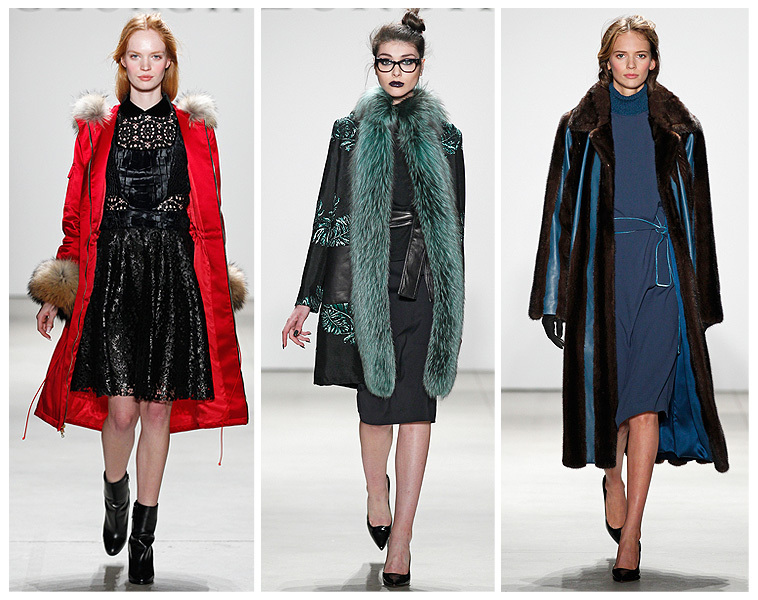 One of the main reasons I always look forward to her show each season are the ever so chic coats; I'm truly obsessed. There was a mix of fun flirty looks as well as wild side and mystery capturing all sides of femme characters which happened to be the theme. I'm going with sultry and mysterious, which one are you? Dreams do come true…just not always how you imagined them to. 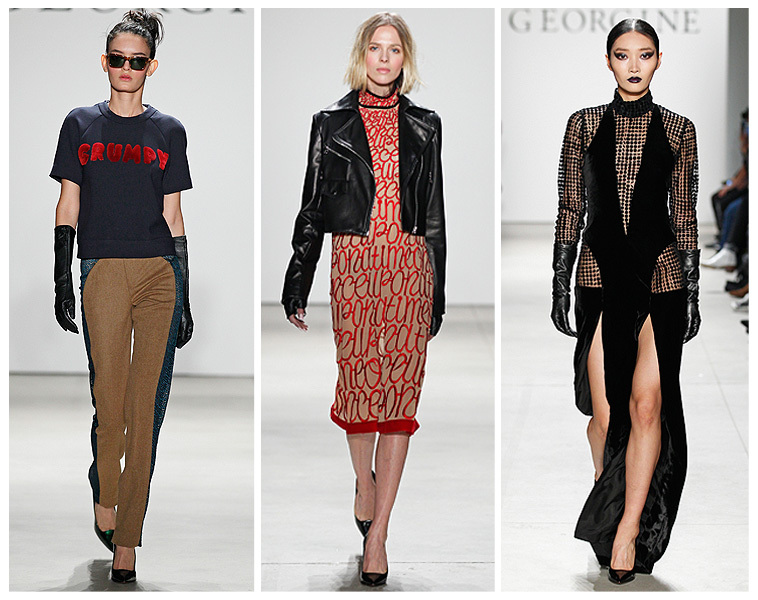 For Fall/Winter 2016, GEORGINE is inspired by the works of The Brother Grimm and the long time struggle between the good and the evil found in Fairy Tales. She wanted to re-imagine the traditional princesses, heroes and villains of the stories we have all grown up with but modernize them for the 21st Century. “What would Cinderella wear to a ball in this day and age?” wondered GEORGINE designer Georgine Ratelband, “Would Snow White wear an embroidered leather motorcycle jacket when she escaped to the woods? These were my thoughts as I sought to create my own modern day fairy tale.” Other classic characters like Little Red Riding Hood and Hansel and Gretel and villains such as The Evil Queen all get modern day makeovers in this collection.